New York, 19 November 2013 — At the first meeting of Trans-Pacific Partnership (TPP) negotiators since the intellectual property chapter of the secret trade agreement was leaked last week, Doctors Without Borders/Médecins Sans Frontières (MSF) urges countries to stand strong against the attack on access to affordable medicines. 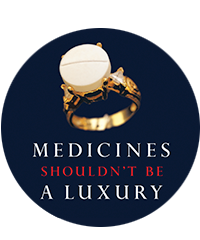 The leaked text reveals that the majority of negotiating countries strongly object to some or all of the intellectual property provisions affecting pharmaceuticals, and that five countries, Canada, Chile, New Zealand, Malaysia and Singapore, have put forth a counter-proposal that endeavours to better balance public health needs with the commercial interests of pharmaceutical firms. The counter-proposal would retain public health protections and implement rules for pharmaceutical patenting and intellectual property according to existing international standards set by the World Trade Organization. These rules present fewer (but still significant) obstacles to the flow of affordable generic medicines.